As part of our ongoing "Getting to Know Your Local Businesses" series, this week we sat down with Derek Salazar, owner of Fullscope Pest Control. Tell us a bit about your business: What does your business offer, and how long have you been around? With over 30 years of experience, we offer competitive rates and full comprehensive protection pest control and prevention, lawn and ornamental services and Christmas lighting services for homeowners and businesses. Our pest-related services treat roaches, ants, spiders, fleas, bed bugs, termites, WDI’s, mosquitoes, rodents, bats and birds. We're experts in comprehensive pest management. With our lawn and ornamental services, we provide shrub and bare ground/soil sterilization treatments and lawn maintenance. In addition, we are experts in designing and installing custom Christmas lighting. How did you decide to get involved in this line of work? I have spent my 30-year career in the pest control industry, both in the commercial and residential arenas. Over the years, I have shared my chemical and pest knowledge to technicians across the south. 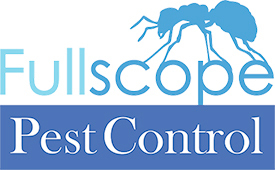 In 1989, I began working with a large local independent pest control company. I serviced, sold and managed with them for over 29 years. In 2018, I took the leap and started offering my own pest prevention services and have been growing my business one account at a time. I’m licensed for more than just pest control; I’m a licensed and certified applicator in pest, termite, weed, lawn and ornamental for residential and commercial businesses. Tell us a couple things you are proud of about your business. What are you known for? What separates you from the competition? We’re family owned and operated and pride ourselves on honesty, integrity and results. Staffed by skilled technicians, we employ the latest, most innovative methods and best practices. In fact, my business partner, Camille Pinkerton, has a Master Degree in Entomology, which is the study of insects. We are different; we take the proactive approach to pest control. We control the harborage areas, entry point and breeding sites, continuing to look for evidence that a pest is targeting your home or business. We stop pests in their tracks! What is your favorite part of running this business? I love meeting a client and being able to come up with a solution and top-notch results! It’s challenging and rewarding. Being able to serve is my favorite part. When we visit a home or business, we’re about education, not about just applying products. Who is your ideal customer/client? Who do you serve best? Any homeowner or business owner who wants a custom program designed for them that solves virtually all of their pest problems is our ideal customer. Is there any other information you'd like your potential customers/clients to know about your business? I’m a family man; I’ve been married over 26 years to my childhood friend, Annatte, and we have seven children. We’ve lived in Kingwood and have happily served in the community for over 24 years. I’m a parishioner at St. Martha’s Catholic Church, serving in multiple ministry groups over the years. 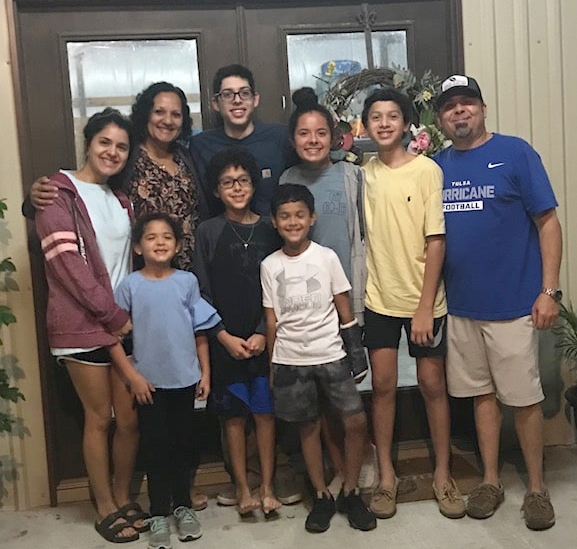 I’ve also coached recreational sports (soccer and baseball), served on the HOA board, been involved with the KSA Safety Council and The City of Houston Positive Interaction Program, started a neighborhood watch program and participated in National Night Out events. Those who mention this article and sign up for quarterly pest control can receive a complete front and back yard mosquito control on each visit for no additional charge (a $160 value). To request a free estimate, get pest prevention news via our blog or learn more about our services, visit our website. To read our reviews, view informative videos about pest prevention and message our company, visit our Facebook page. How do you see your business growing and improving over the next couple of years? We will continue to expand our services to offer our customers innovative solutions that work. Customer satisfaction will continue to be our top priority as we grow.